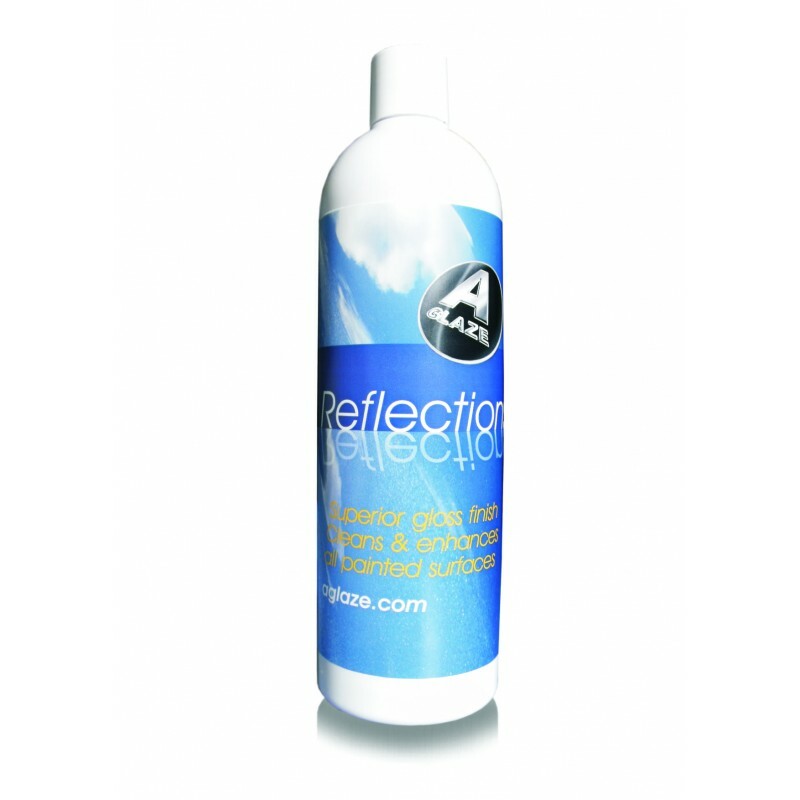 A non-abrasive polish that leaves a superior gloss to any paint finish. It can be used over the AGlaze Paint Sealant to remove surface contaminants and further enhance and prolong the life of the sealant finish. 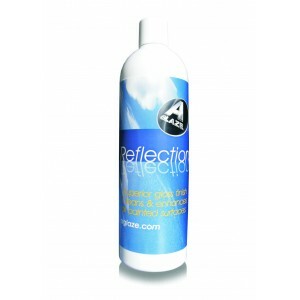 Unlike other waxes and polishes, AGlaze Reflections is unaffected by heat and can be used in direct sunlight and on hot surfaces with out any risk of baking on or causing swirls and shadows. It is also dust free and will not mark plastic or rubber trims.